Named after Malcolm Baldrige, the 26th Secretary of Commerce, the Baldrige Award was established by Congress in 1987 to enhance the competitiveness and performance of U.S. organizations. The award is not given for specific products or services. 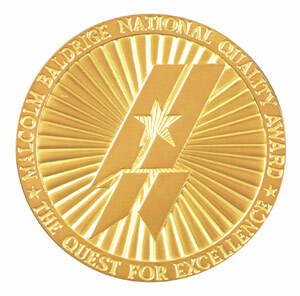 Since 1988, 93 organizations have received Baldrige Awards. The 2017-2018 Criteria reflect the validated management practices of the current business environment, with special attention to innovation and risk management, use of social media, operational effectiveness, and work systems as a strategic concept.